Varun Dhawan and Anushka Sharma are currently busy with the hectic promotions of their film Sui Dhaaga – Made In India. The film, which is a story of a trailer and embroiderer, focuses on made in India tagline. A week ago, Varun and Anushka challenged their celebrity friends to take up the Sui Dhaaga challenge. So all of their good friends from the industry are attempting it. Akshay Kumar, Varun Dhawan’s Kalank co-stars Aditya Roy Kapur, Alia Bhatt, Shah Rukh Khan, Ranbir Kapoor, Karan Johar, Salman Khan are some of them who took the challenge. Here’s how the challenge goes. The stars have to simply put the thread in the needle. It looks easy but it definitely isn’t as one has to complete this in just 10 seconds. Dhadak director and Varun’s close friend Shashank Khaitan nominated Janhvi Kapoor to take the challenge. 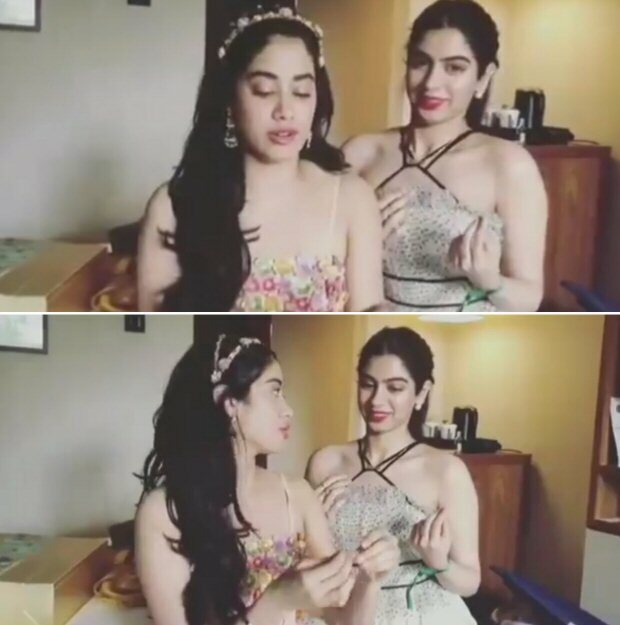 She along with her sister Khushi Kapoor did the challenge and Janhvi was pretty quick to complete it. The pretty actress looked super stoked after it. She has now nominated Ishaan Khatter, Aayush Sharma and Warina Hussain to do the same. Bramhastra: Ranbir Kapoor's co-star LEAKS his picture from the sets in Bulgaria! Next Ayushmann Khurrana learns 3 dialects for Badhaai Ho!